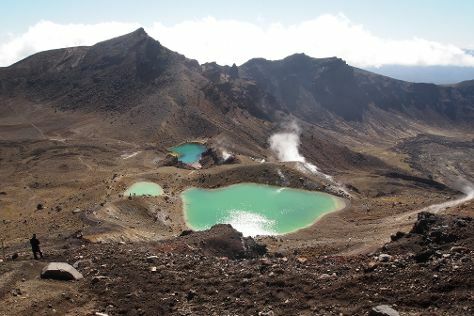 On the 12th (Tue), trek along Tongariro Alpine Crossing. Get ready for a full day of sightseeing on the next day: take in the dramatic scenery at Taranaki Falls, take in the dramatic scenery at Tawhai Falls, then grab your bike and head to Ohakune Old Coach Road, and finally explore the wealth of natural beauty at Te Porere Redoubt. For where to stay, traveler tips, reviews, and more tourist information, read Tongariro National Park online journey planner . Sao Paulo, Brazil to Tongariro National Park is an approximately 31-hour flight. The time zone changes from Brasilia Time to New Zealand Standard Time, which is usually a 15 hour difference. Finish your sightseeing early on the 13th (Wed) to allow enough time to drive to Taupo. On the 14th (Thu), stop by Souvenir Outlet & Mountain Bike Hire, then tour the pleasant surroundings at Huka Falls tracks, then take a memorable tour with Tours, and finally take in the natural beauty of Taupo DeBretts Spa Resort. To find where to stay, more things to do, other places to visit, and more tourist information, you can read our Taupo trip planning app . You can drive from Tongariro National Park to Taupo in 2.5 hours. Alternatively, you can do a combination of car and shuttle; or do a combination of car and bus. Cap off your sightseeing on the 14th (Thu) early enough to travel to Paihia. 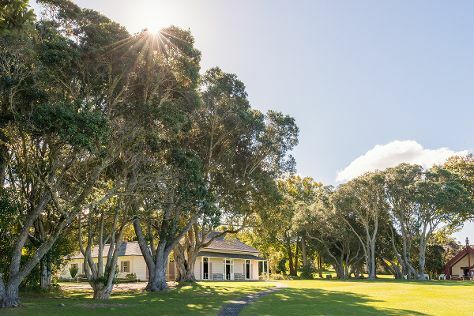 Your cultural itinerary includes sights like Waitangi Treaty Grounds and Byrne Northland Wines. Take a break from the city and head to Waitangi Golf Club and Nature & Wildlife Tours. Take a break from Paihia with a short trip to Pompallier Mission and Printery in Russell, about 42 minutes away. There's lots more to do: see some colorful creatures with a scuba or snorkeling tour, admire the sheer force of Haruru Falls, identify plant and animal life at Paihia Harbour, and take in the architecture and atmosphere at St Paul's Anglican Church. For maps, ratings, photos, and more tourist information, you can read our Paihia online itinerary planner . Fly from Taupo to Paihia in 3.5 hours. Alternatively, you can do a combination of bus and flight; or drive. Finish your sightseeing early on the 17th (Sun) to allow enough time to travel back home.